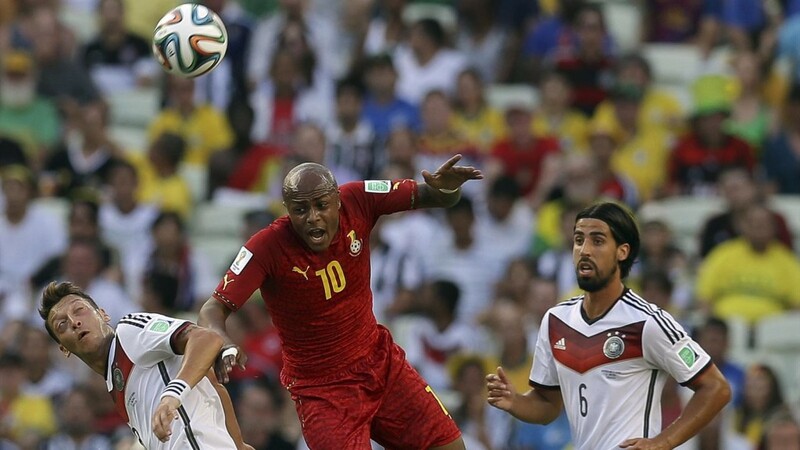 Ghana has made a great match against Germany. But the Black Stars could not get better than a 2-2 draw. Balanced at the beginning, the first period turned to the advantage of Ghanaians and is materialized by a powerful shot from Christian Atsu outside the penalty area in the 12th minute. But the strike fists Neuer who put it off. Before the occasion of Ghana, it is Germany that has troubled the Black Stars with a superb combination of Gotze, Ozil, Muller and resulting in a countered shot. Fully controlling the game despite some counter-attacks of Germans, Ghana got close to opening the scoring in the 32nd minute. Sulley Muntari, although inspired, sends a shot from 30 meters outside left unchecked. But Neuer pushes it out. 0-0 is the score at halftime. On resumption, Ghana resumes the pressure but has been surprised at the 51st minute. On a deep pass well balanced Müller, Götze, very lucky, touches the ball with his head and knee and sends it into the goal. 1-0 for the Mannschaft. Ghana reacts and equalized 3 minutes later. A good shot from Afful, allows Ayew to put in a successful unstoppable header! First goal conceded by Germany in this competition. And a second signed in the 62nd minute by captain Gyan! Lahm loses the ball at 40 yards from goal, Gyan Muntari served a blistering Gyan. 2-1 for Ghana. Short-term advantage. Just off the bench, Klose equalized for Germany. On a corner from Kroos, he waited at the far post and catapult the ball into the goal. Nothing will be scored until the end of the match. Things get complicated for the Black Stars, forced to beat Portugal in the third game to expect a qualification. Previous post Brazil 2014: LUIS SUAREZ slaps England 2-1, URUGUAY gets relaunched!